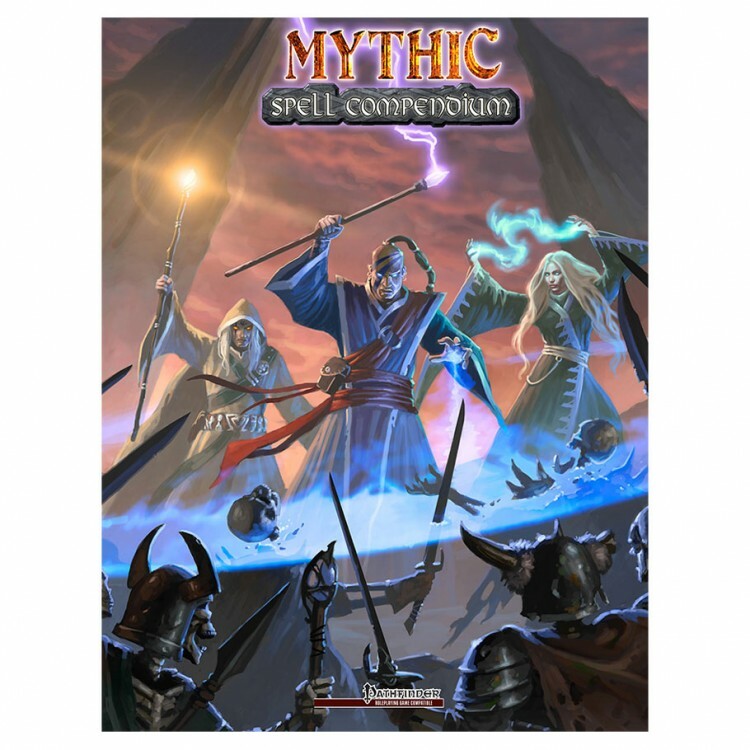 The Mythic Spell Compendium brings you over 2000 mythic spells for your Pathfinder campaign! This book is an encyclopedic tome of magic, a comprehensive compilation of mythic versions for EVERY spell in the Pathfinder core rules and MORE! These spells are not just an exercise in bigger numbers (though you'll find those here as well), but bring new and exciting dynamic and even cinematic options to your spellcasting character, many with augmentable variations to expand their power to an even grander scale. There are earth-shaking magics here, alongside inventive and occasionally amusing uses for lower-level magics; everything from the humblest of cantrips to the mightiest of miracles, is covered between these pages. Coupled with the core mythic spells in Pathfinder Roleplaying Game Mythic Adventures, every spellcaster, no matter how obscure their specialty, will find page after page of amazing options. If you are playing Pathfinder with the mythic rules, you need to grab this book. HOWEVER, this book is an amazing resource for you even if you're NOT using the mythic rules! The mythic rules are a terrific toolbox for making magic more mysterious and, even better, more interesting, in a standard Pathfinder campaign. From ancient cultures to secret cults, alien races to eldritch secrets, sacrificial sorcery to divine mysteries, all are sources from which the forgotten or forbidden lore of mythic magic could spring to new life in your Pathfinder campaign.